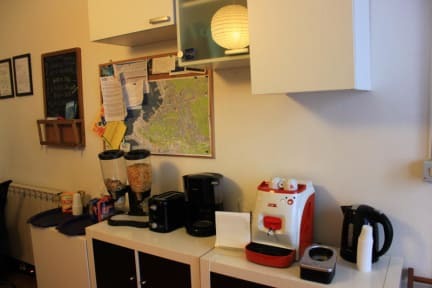 We are in the heart of the city, and more precisely in the Theresian part of Trieste, near the Stazione Marittima between the banks and the Railway Station and 5 minutes walk from the majestic and imposing Piazza Unita' d'Italia: the living room of Trieste. Between us and the square, historic buildings around the Grand Canal and the main shopping streets. The area is served by all buses, commercial activities, clubs and restaurants. Our rooms are spacious to give guests an accommodation with all comforts (even for guests with strollers and children). We will try to accommodate any request regarding times or extra beds. It was wonderful to stay @ Giulia's. She was so friendly + helpful + the large, old, traditional flat is great. I cannot recommend it highly enough. Absolutely the best! Amazing location with wonderful and helpful staff! I would definitely stay here again! Giulia is a GEM, and so is her mother if you are lucky enough to meet her! She genuinely wanted us to have a good time on our trip and was full of tips for us. She had breakfast out for us according to our schedules, and everything was clean all the time. The room was also simple but beautiful. Right near the center of town too, so we could walk to most of the sights. Amazingly welcome staff in a safe spot close to the city and train station! Would definitely recommend to anyone!! I had a great stay. Giulia and her mum who run the B&B were great hosts, and very accommodating (inc. when my arrival was delayed!). They also gave great advice about my stay in Trieste. The room was nice and clean. And the bathrooms were super clean too. Breakfast is served in a lovely room with a balcony overlooking the street, and is really nice. The location is great too - right in the centre, and close to everything. Overall, it is great value for money and a great place to stay! Bed&Breakfast Empire has a great location and provides all the basics at a good price, but what sets the place apart is the owner, Giulia. She is warm, welcoming, and helpful; she makes any stay in Trieste an experience to be treasured. Wonderful warm and friendly host Guilia. Very helpful and informative. Simple but very clean and comfortable amenities. Lovely breakfast. Good commumication before arrival, at check in and upon leaving. Great location. Would have liked to stay longer. Great value, lovely host. Highly recommend. Very handy location arriving from Trieste airport quite late at night. Giulia our host stayed after the official check in time to meet us on arrival and made sure we got settled in. 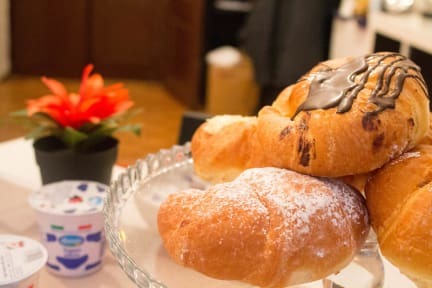 She was also back to serve us breakfast at a time of our choosing the following morning and we had a great time chatting with her and getting tips for things to do in Trieste. Very comfortable room. Would definitely stay again.